Heat oven to 325. Prep spring-form pan by lining with foil or parchment paper and spraying with non stick spray. Wrap outside of pan tightly with foil to prevent water from getting inside. Beat cream cheese and sugar in mixer. Add eggs one at a time and mix after each addition. Add sour cream, heavy cream, and vanilla and beat until well mixed but do not over mix. Pour batter into pan and place pan inside larger pan and add hot water about one inch up sides of pan. Bake for 45 mins or until set. Remove from oven and let cool. After cooling, place cheesecake in freezer still in spring-form pan. 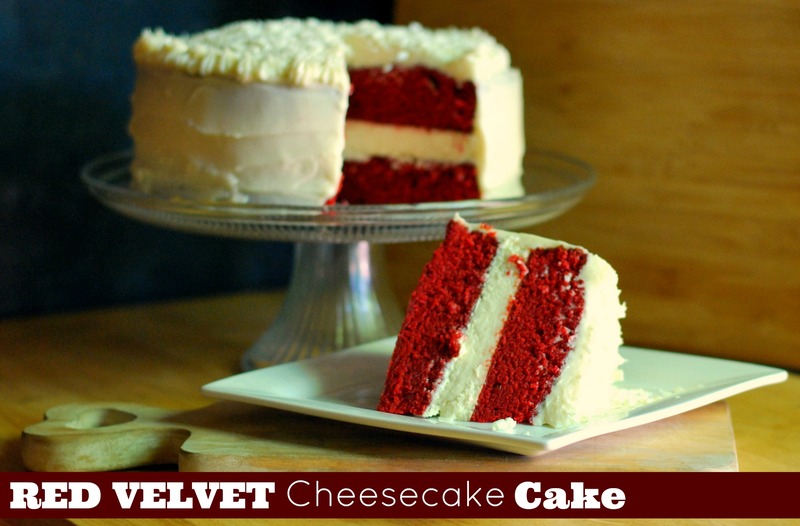 Allow cheesecake to freeze several hours or overnight. Using a mixer, beat all ingredients until smooth and creamy but do not over-mix. Remove one cooled cake from pan and place on a cake plate. 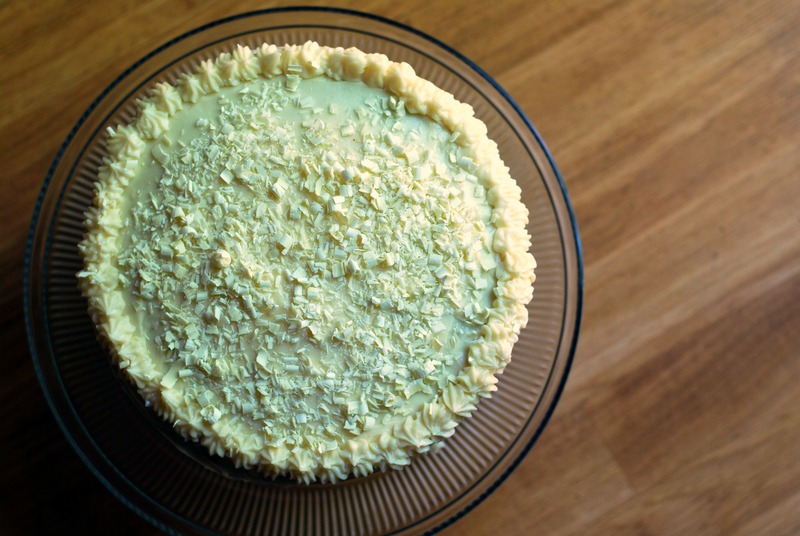 Remove the cheesecake from spring-form pan and place on top of first cake. (We had to cut about 1/2 inch off the cheesecake layer to make it fit perfectly) Remove second cake and place on top of cheesecake. 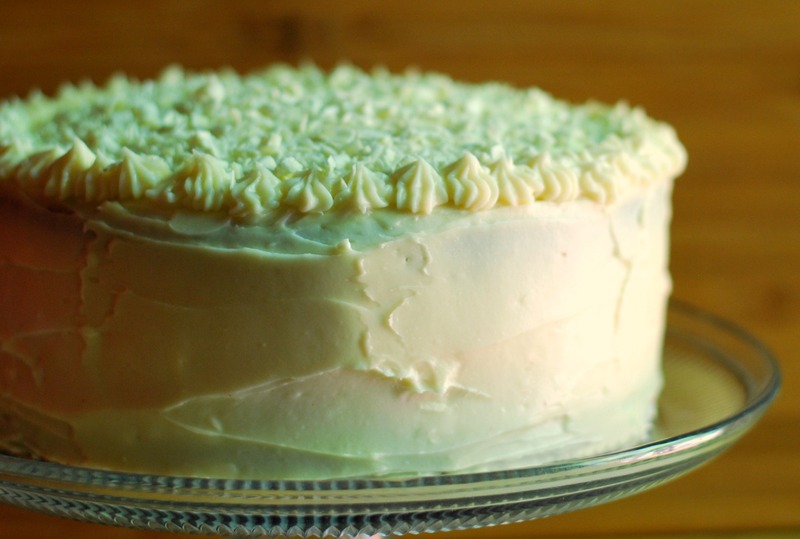 Apply a thin crumb coat of icing around entire cake and top of cake, cleaning knife or spreader before placing back into icing. It is OK if there are crumbs on icing. Place cake in refrigerator to set the crumb coat for 30 mins. Remove cake from refrigerator and continue to apply icing to cake. You can choose to pipe some icing around the cake if you like. Garnish top with shaved white chocolate. What a wonderful Mother’s Day celebration! I’m so glad you were trusted like a queen. This dessert is spectacular.